In 2018, Columbus Museum of Art, the first chartered museum in the state of Ohio, marks its 140th anniversary. 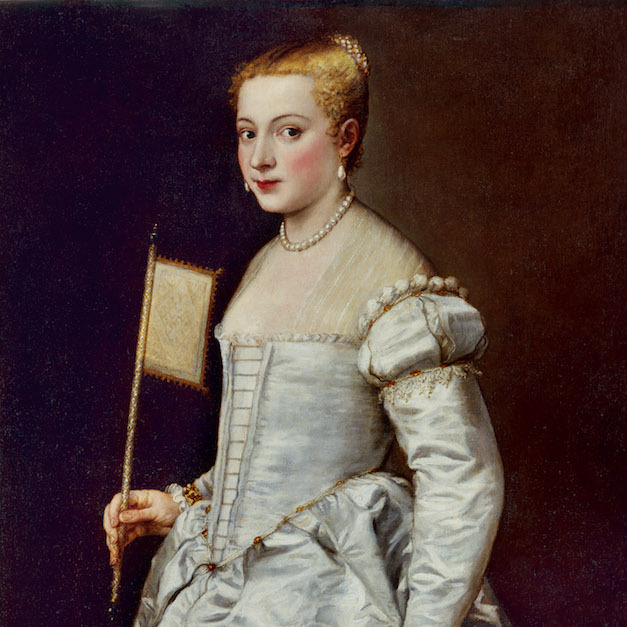 As part of the anniversary celebrations, Columbus Museum of Art partnered with the Gemäldegalerie Alte Meister in Columbus’ sister city, Dresden, Germany, to bring Titian’s masterpiece Portrait of a Lady in White to Ohio. Gemäldegalerie’s collection features paintings from the 15th to the 18th centuries, including major Italian Renaissance works. The most famous painter from The Venetian School, Titian used strong colors as his main expressive device. Mystery has always shrouded the identity of his Lady in White. Is she his daughter Lavinia, is she an ideal picture of female beauty? Theories abound and the true identity of the Lady in White remains a puzzle to this day. In addition to the Portrait of a Lady in White, the exhibition includes the other baroque portraits from the permanent collection of the Columbus Museum of Art that provide context for the Titian masterpiece such as Anthony van Dyck, Christian Bruce, Countess of Devonshire,” c. 1635 and John Michael Wright, Lady with a Theorbo, circa 1675. Join CMA for a lecture featuring Dr. Stephan Koja, Director of the Gemäldegalerie Alte Meister and Skulpturensammlung in Columbus’ sister city Dresden, Germany. At 6:00 pm, meet Dr. Koja in person at a special public reception welcoming him to CMA and to Columbus. At 7:00 pm, hear Dr. Koja discuss his museum and Titian’s Lady in White, a masterwork that the Gemäldegalerie Alte Meister and Skulpturensammlung has generously loaned CMA for a limited time. Cost of this program is $20 for nonmembers, $5 for members.